It must be shown that false statement was intentionally given for the purpose of using the same at any stage of the judicial proceedings, the court observed. The Supreme Court in Amarsang Nathaji vs. Hardik Harshadbhai Patel, has said the mere fact that a person made a contradictory statement in a judicial proceeding was not by itself always sufficient to justify prosecution under Sections 199 and 200 of the Indian Penal Code. The apex court said it must be shown that the defendant has intentionally given a false statement at any stage of the judicial proceedings or fabricated false evidence for the purpose of using the same at any stage of the judicial proceedings. It also explained the procedure contemplated under Section 340(1) of the Code of Criminal Procedure. These observations were made by a Bench of Justice Kurian Joseph and Justice RF Nariman in an appeal against an order by Gujarat High Court wherein it had directed the Registrar (Judicial) to make complaint against a litigant in view of the findings recorded by the court for the offence under Sections 199 and 200 of the IPC. The high court had observed that the conduct of the litigant has affected the administration of justice, and therefore, it was expedient in the interests of justice to file a complaint against the appellant under Section 340 of the Code. There are two pre-conditions for initiating proceedings under Section 340 CrPC: (i) materials produced before the court must make out a prima facie case for a complaint for the purpose of inquiry into an offence referred to in clause (b) (i) of sub-Section (1) of Section 195 of the CrPC, and (ii) it is expedient in the interests of justice that an inquiry should be made into the alleged offence. The mere fact that a person has made a contradictory statement in a judicial proceeding is not by itself always sufficient to justify a prosecution under Sections 199 and 200 of the Indian Penal Code (45 of 1860) (hereinafter referred to as “the IPC”); but it must be shown that the defendant has intentionally given a false statement at any stage of the judicial proceedings or fabricated false evidence for the purpose of using the same at any stage of the judicial proceedings. Under Section 343 of the CrPC, the Magistrate has to deal with the complaint referred to in Section 340 of the CrPC as if it was instituted on a police report. The Magistrate has to follow the procedure for trial of warrant cases under Chapter XIX Part A comprising of Sections 238 to 243 of the CrPC. 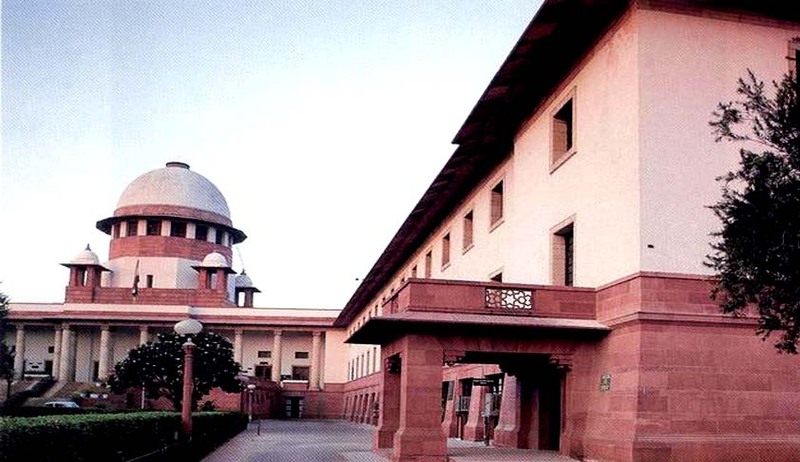 In view of the fact that the parties have amicably settled the issues and observing that the high court had not followed the procedure contemplated under Section 340(1) of the CrPC, the apex court set aside a part of the high court order wherein it initiated proceedings under Section 340 of the CrPC.